I was driving with a “tourist”-motor boat, where I had to navigate the motor with a hand-rod. My wife Karin was sitting at the front. 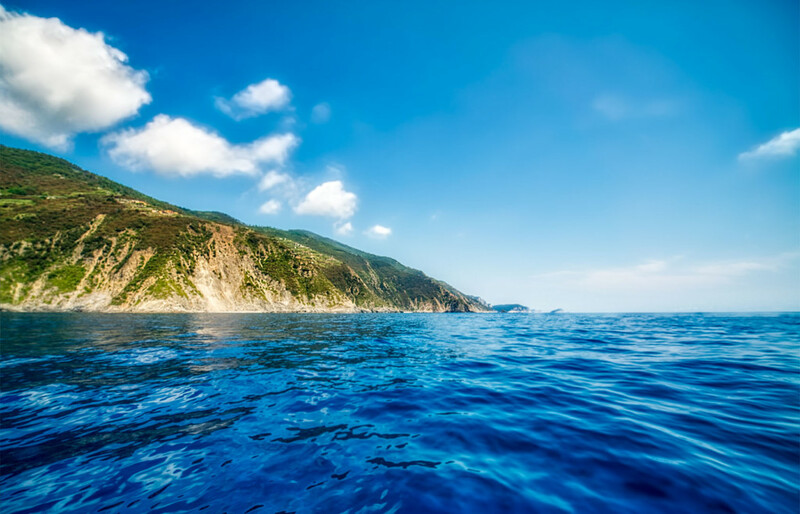 Though it was an imbalance, with my weighty body in the back of the boat, however, after a 20 minutes drive, I was out on the sea and shoot some photos of Cinque Terre from the seaside. Then I placed the anchor, jumped into the water and did some rounds of snorkeling.